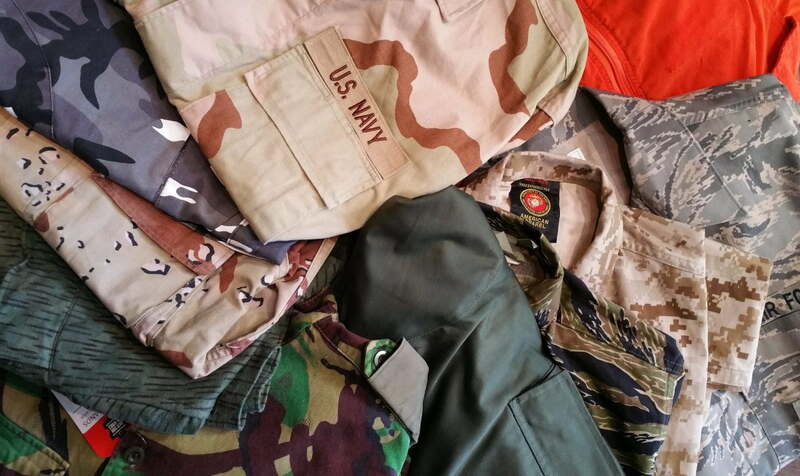 Halloween is coming up, so here’s a bunch of military / police uniform things, just arrived today, that might give you an idea of who you’re going to be. Form up and march over to try some things on! For details, check the table after the gallery.